Unitherm Furnace designs and manufactures quality products and services, ranging in size and spanning industries nationwide. 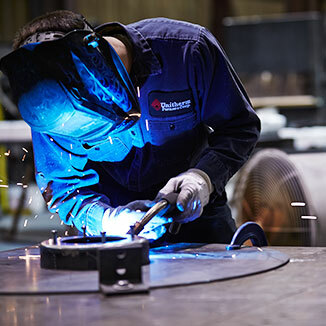 Finding custom-made solutions to the many industrial needs of our customers, such as making a furnace built to fit specific spatial needs, is our specialty at Unitherm Furnace, LLC. We take pride in our versatility and 65+ years of experience in the field of Thermal Processing Equipment and Pyrometry Instrumentation and Controls. While most furnace manufacturers focus on a standard line of equipment, our talented staff thrives on the unusual and challenging. We custom design and build each system to fit the customer’s specific requirements, using high quality, standard parts and components to facilitate the maintenance process. In addition to new systems, Unitherm can modify, rebuild, retrofit or upgrade your existing equipment to meet today’s standards. Computerized controls, precision instrumentation, full documentation, fuel conversions – we do it all. Everything is designed to help you save energy, increase efficiency, cut costs, and improve quality. 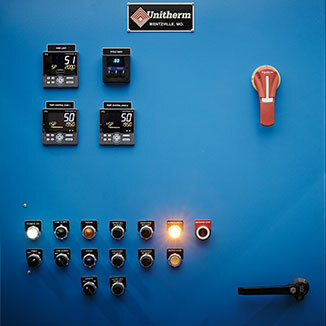 Unitherm is the solution for both custom and standard industrial thermal processing needs. We can be your solution too! 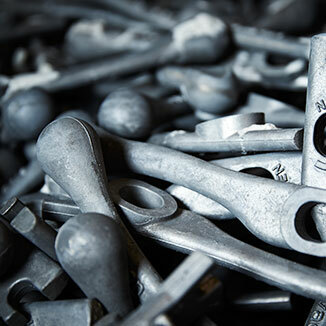 With industrial furnaces dating back to the 1800s, many companies continue to use “battle-tested” designs, but the designs lack contemporary efficiency innovations and many customers want custom, highly engineered designs to fit their specific needs.